I love to talk. Indeed I do! The folks in the office are tired of hearing me, so I thought I would inflict myself on you. This is a place for you to get to know me better and hopefully, for me to meet you through email or phone at some time in the future. 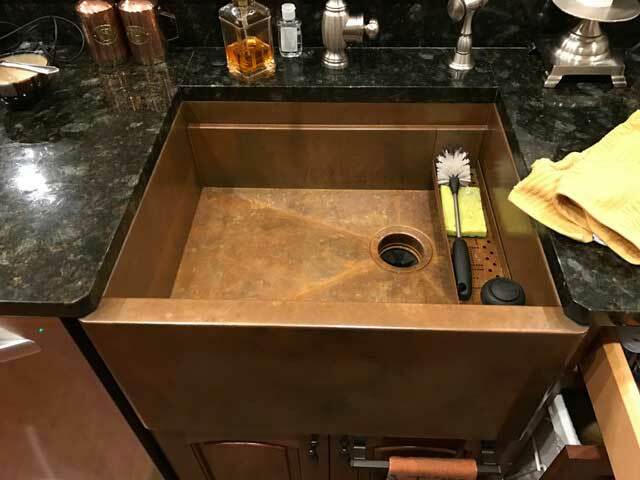 I would like to share how I got into copper sink designing and manufacturing. 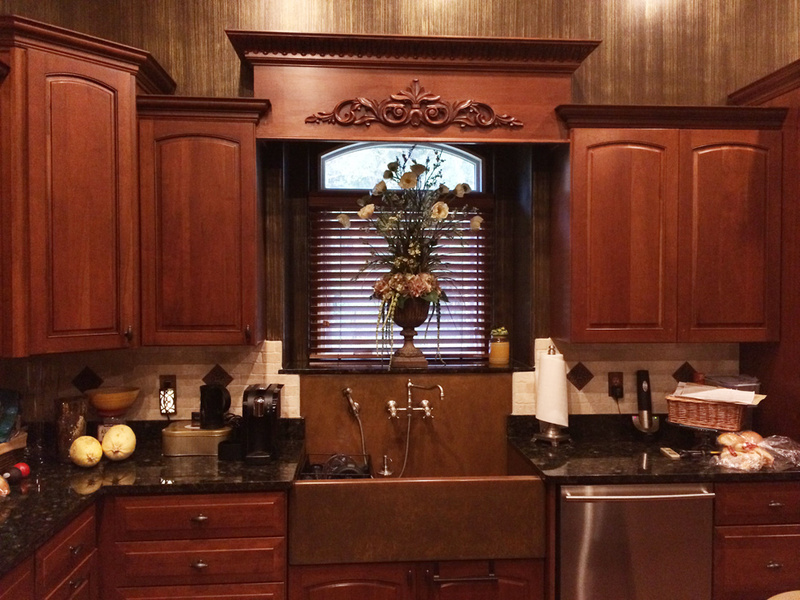 I was a credentialed kitchen designer for over 20 years. 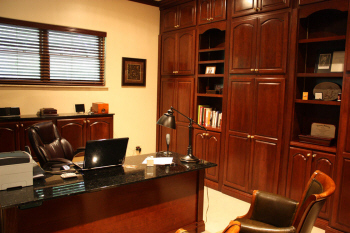 My studies revolved around ergonomics and space planning. Actually, I graduated from Duquesne University in 1974 with a degree in Psychology. I quickly decided that career choice would not fit my personality. You have to listen more than you talk. As you heard above, I love to talk. Anyway, back to my story. I became frustrated with the ridiculous sink design choices I had to offer my kitchen remodel clients. Double bowl sinks did not make sense to me, neither did single bowl sinks with the drain smack in the middle. The story is a bit more involved, but I will spare you the details. In short, I decided I could design a better sink! You see, I came into this business with a different mind set than most sink manufacturers. 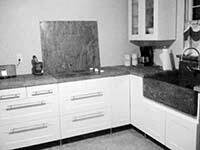 I was a kitchen designer, not a sink maker nor a marketing specialist. After 19 years of constant learning, several sink design patents, and a great deal of hereditary hair loss, I am still in love with what I do. I owe my talents to my family. I come from a multi talented extended family. My father, Lee Rachiele, is a retired clinical psychologist and business owner and was a child prodigy concert pianist. 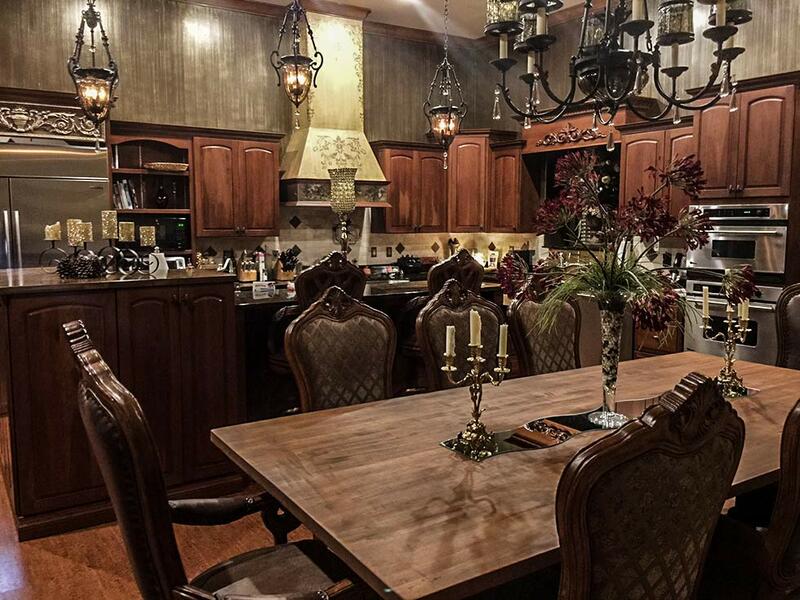 My mother, Rosalinda (Tucci) Rachiele, is a gourmet cook with a keen eye for design. She was a professional clothing designer and worked for the Singer corporation for a while. My uncle Frank Tucci was a well known architect in New York. My Uncle Stanley Tucci is a beloved retired art school teacher from Katonah, N.Y. Stanley's wife, Joan Tucci wrote a best selling Italian cookbook; Cucina & Famiglia. Their son is the actor, Stanley Tucci. My grandfather, Stanley Tucci Sr., came to the US at the age of 13, by himself with only $13. He was a granite stone cutter as a child and young adult and as an adult owned Stanley and Son's Memorials in Peekskill, NY. He designed and made granite monuments. I inherited his "Stonecutters Eye". I can look at a picture on the wall at any distance and tell if if is off level by as little as 1/8". No need for a level here! As you can see, talent was generously gifted throughout our family and I am a very thankful I was one of the beneficiaries. I became an entrepreneur early in my life. While in college, in Pittsburgh, I was driving by a cemetery and noticed a large pond with what appeared to be hundreds of goldfish in it. I drove into the cemetery and was standing by the pond when the grounds-keeper came over to say hello. I asked him how all of the goldfish found their way into the pond. He shook his head in dismay and said the darn kids get sick of them at home and dump them here. I inquired if it would be okay if I took some. He said, "Take them all - they are a nuisance". I promptly went to the store, purchased some garbage bags, a large net and a loaf of bread and returned. The grounds-keeper was so enthralled by what I was doing that he actually helped. I ended up with well over 200 large goldfish - which I promptly sold to the local aquarium shops. I then noticed that the plants that were sold at the aquarium shops were the exact type that was growing in the pond. I returned a week later to the cemetery and found the grounds-keeper. I inquired about the plants. He laughed and said, "You really want to pick the weeds out of the pond?" I said "Sure!" I filled several garbage bags full of the "weeds", took them home, cleaned them and wrapped them into small bunches and tied them together with rubber bands. I sold each bunch for 49 cents - I had hundreds of sprigs and sold out quickly. There were enough plants at the cemetery for several trips over several months. The main plant life in the pond was lily pads and flowers. They were truly beautiful and were being choked out by these "weeds". One last find... I noticed an area on the side of the road where the hillside had been blasted to make room for the road had some interesting looking rocks. I stopped to inspect them and found that they were green shale. They would look terrific in an aquarium. I loaded up my car with as many rocks as the car would hold and went around selling them (for months) to the local aquarium shops. They would actually put in orders for the rock delivery! So, those were my first ventures into capitalism and I had a ball! There are some personality types that should say no to copper sinks. If you like every thing to be uniform (in terms of the interior finish of the sink) you should say no! Copper is a living finish and will change almost daily. We have hundreds, perhaps thousands, of past customers who look forward to looking in their sink each morning to see the new mosaic of colorful beauty. The sinks to the left have been used for many years. The photos should give you an idea of what to expect with my copper sinks. Why do all of the other copper sink companies indicate the sink must be dried after each use? Well, there are actually two reasons. 1. There is a high likelihood that their sink may hold water and not drain properly. If that is the case with any sink (including mine) the interior will look blemished unless the water is wiped out after each use. My sinks are guaranteed to evacuate the water properly. 2. The finish in "their" copper sinks is "fake". 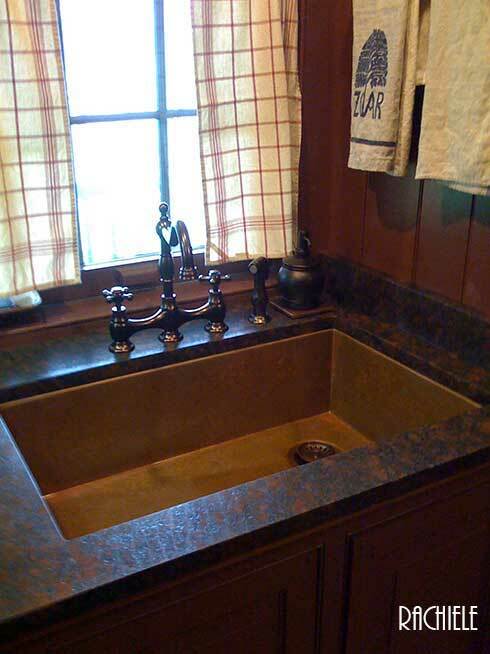 The only color a copper sink interior should be is the color of an old penny. Any other color is unnatural to copper. All copper sinks will be effected by acidic foods. 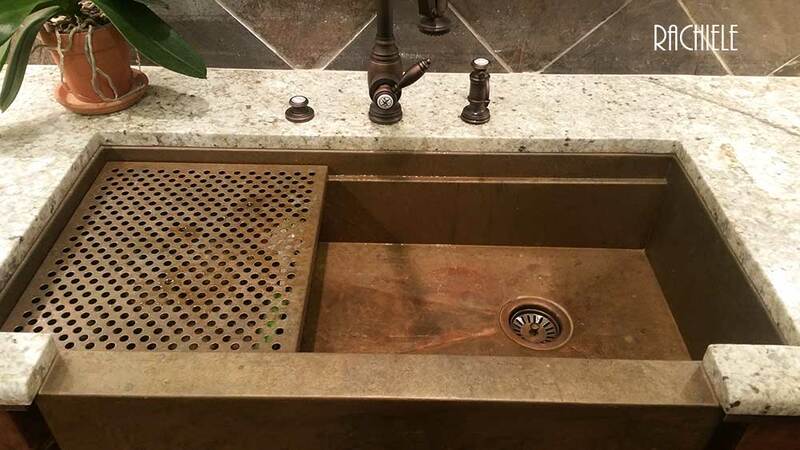 The question is "Will the patina return quickly to the original color of the sink?" 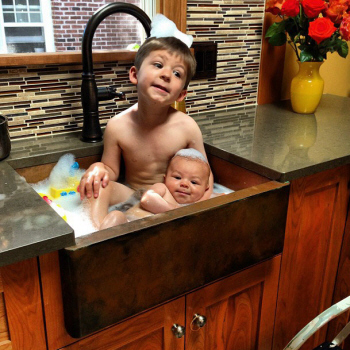 I can assure you that mine will and any other copper sink that is darker or a different color than ours, WILL NOT! 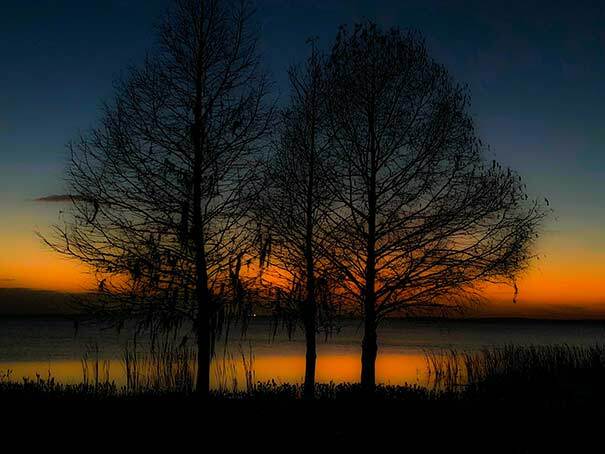 We are blessed by some of the most beautiful areas near our downtown Apopka, FL office. 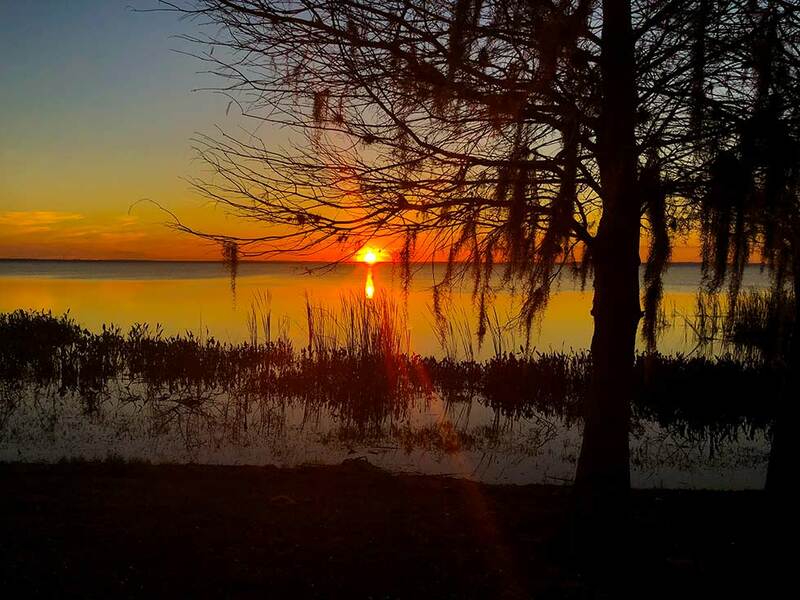 Just 5 miles away, is a huge lake called Lake Apopka. 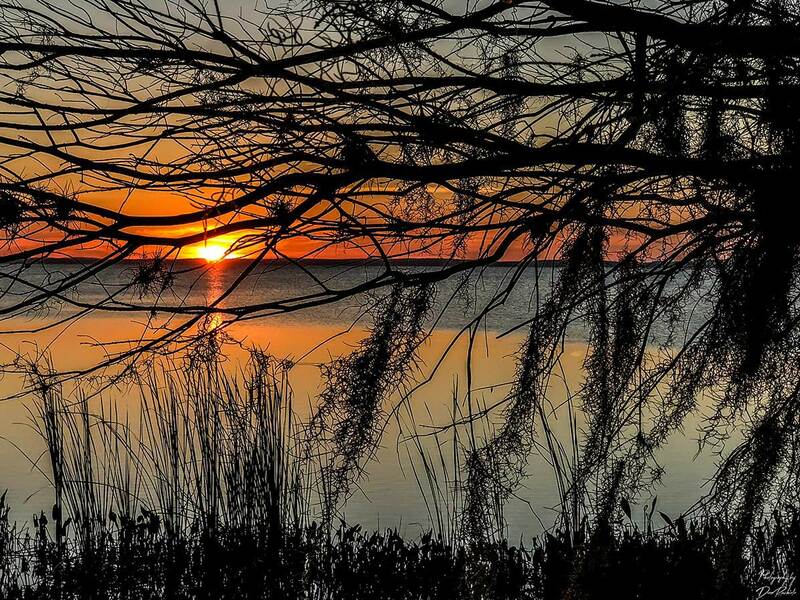 The nearby park, Magnolia Park, offers some of the most stunning sunset photo opportunities of anywhere in Florida. We love our location in this sleepy small town. 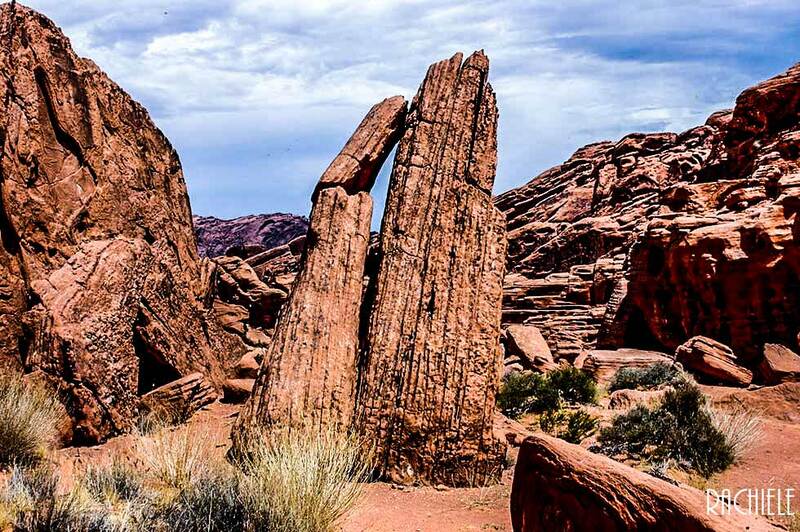 These are photos from a trip to The Valley of Fire, just outside of Las Vegas. This area is absolutely stunning. The colors are almost unreal looking. 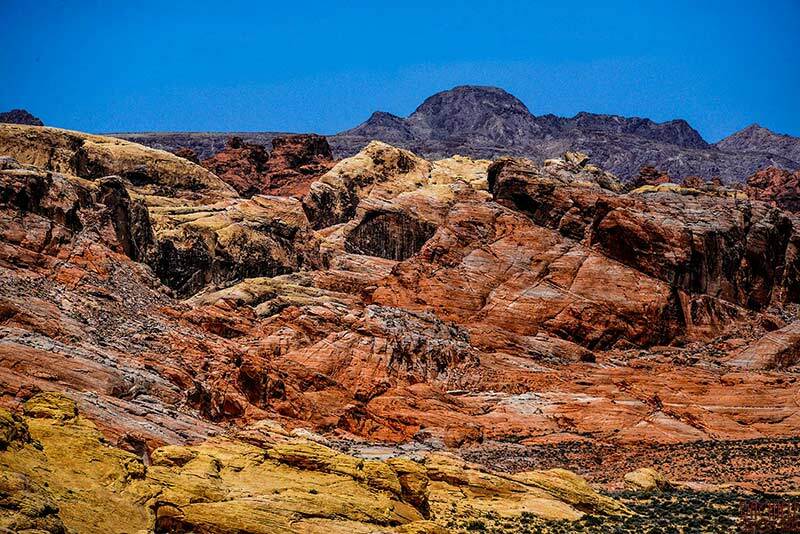 I love the fact that virtually every color seen at the Valley of Fire can be seen in our copper sinks. Since this video has gone viral, I thought I would share it here. That little kitty is named Lola. This video has garnered almost 2 million views! This is Lola now. She is only 4 pounds full grown. The artistry accomplished, only at Rachiele, shows the potential of colors and textures that can be featured in your home. Today is an unusually slow day. I actually had an uninterrupted lunch. It is the rare day like today that I can reflect on how fortunate I am. My son-in-law's father has been in the hospital for 3 weeks in critical condition due to a horrific reaction to a standard antibiotic. He will likely be in the hospital an additional month or more. He was a healthy vibrant man. Today I feel very fortunate not only to have my health, but my parents are both healthy. They just celebrated their 66th wedding anniversary. Neither one looks, nor acts their ages. What a blessing. We have been watching the unbelievable atrocities waged by ISIS and the terrorists in Gaza with disbelief that humans can act this way. I think I need to take a week off from watching the news. Very soon we are headed to Roswell GA to surprise our two granddaughters for Grandparents day in school. We are looking forward to that trip! I looked at this page and couldn't believe I have not updated it since August of last year. I guess being busy has kept me from rambling too much online. 2013 was such a wonderful year for us. We are humbled by the amount of support and kind words from our past customers. We would never be so successful without you! So... what has happened in all this time? I designed the Evolution sink and have received three patents and have one or two more pending. One of our sons graduated from University of Central Florida this spring. We had a graduation party with 85 in attendance. What a party! It's been a while since I posted something on here. We have had a heck of a July and August. August has been a bit too busy for my liking. I hope things settle down a bit soon. Today I saw Bella sitting in a basket looking out the window near my desk. I thought I would take a photo. She always cracks us up. She comes to the office every day and just turned one year old not long ago. She is only about 6 pounds. 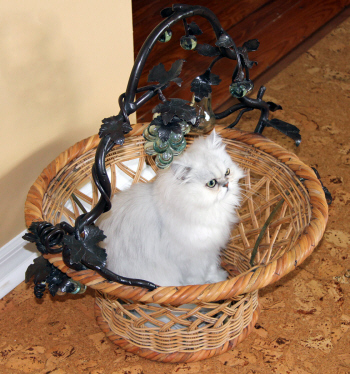 That should be her full size as she is a "tea cup" Silver Chinchilla Persian. 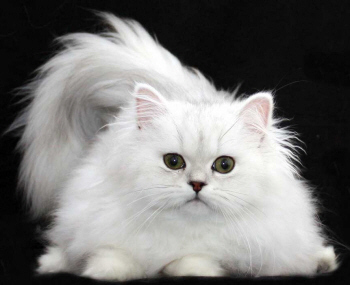 Basically a miniature version of the "Fancy Feast Cat. The last few weeks have been even more hectic than normal. I had a hernia repair surgery and Lisa had vision enhancement surgery. Seemed like we were both in recovery mode for weeks on end. All went well though and we are about back to normal. I am allowed to lift heavy weight in two more weeks. I have been lifting all but the very heavy sinks for the last week or so (getting scolded at by Lisa). We had a wonderful celebration this month. 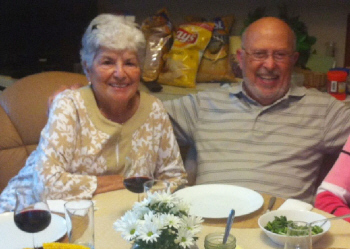 My parents celebrated their 65th wedding anniversary and my mother's 85th birthday. Both are in terrific health in body and mind. I am so thankful. My dad is 91. This photo was taken a few weeks ago. Getting ready for the 4th of July. This has to be the most adorable photo ever! My customer took this with here iPhone. It looks like a professional photo. Wow, this is so cool! Getting ready for the 4th of July. We are actually going to close down for the 4th right through the holiday. That will be a first for me. I have always worked - even on the 4th. I am a really lucky guy. It has been a while since I wrote a note on this page. We have been so busy I have hardly had time to think about it. 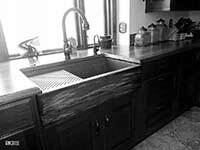 We are trying to keep sinks in stock - as you can see from this recent photo. 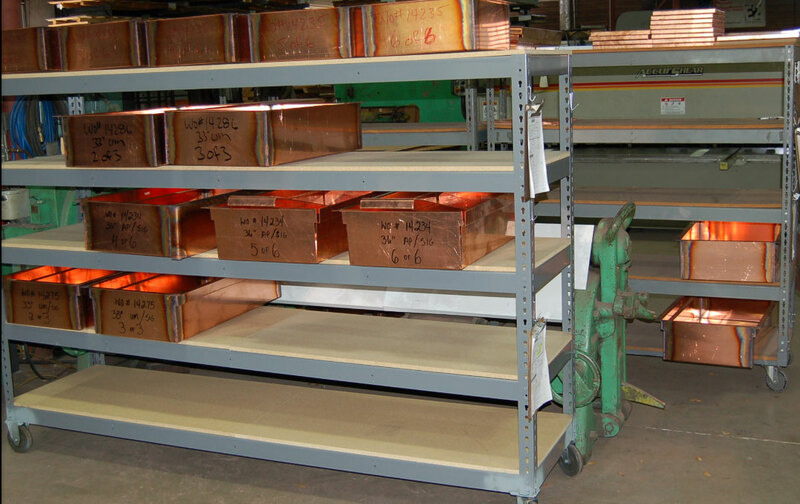 There are well over a dozen sinks in production for our inventory. We can only build these when we are caught up on sold orders. April is typically our slowest month, so we are doing our best to stock up, but sales have not been typical at all this year. Our April sales doubled last year's sales so far. I am in no way complaining, however, the joke around here is that my microwaved lunch is always cold by the time I get to it. No worries, I am used to eating cold food. A couple of years ago I worried about reaching this level of sale and thought it would be overwhelming, or I would not be able to give the personal attention that I feel I would like. So far, so good. If it wasn't for Lisa and Trish being so amazing, I would not be able to do what I do and still be a very happy guy. I love what I do more and more each day. I am a really lucky guy. This is what I do in my spare time: I have a rock band called Happenstance. We play out every 6 weeks or so. 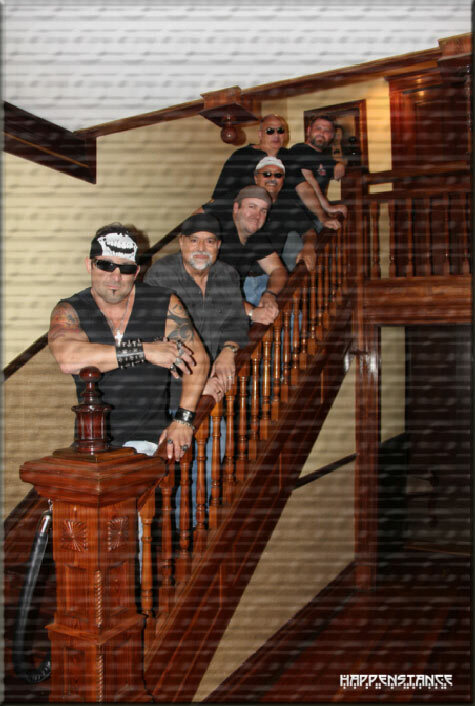 We frequently play for benefits like: Dog Rescue, Vietnam Vets and other events. Lots of fun! I play guitar and keyboards in the band as well as some backup vocals. Our precious "Bella". We picked her up three weeks ago at 2 pounds. She was 8 weeks old. She will only get to be just over 5 pounds as an adult female. Her mother weighs only 5 pounds. 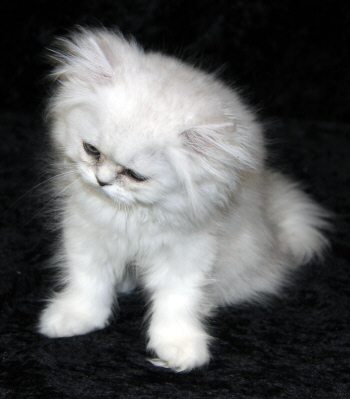 She is a silver chinchilla teacup Persian (like the Fancy Feast cat - only much smaller). What a doll! I have always been a gadget person and very inquisitive. 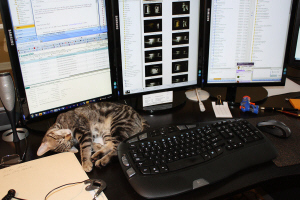 My office and home are loaded with gadgets. Check out my garage gadget. (This is an old photo. Both cars have been replaced with Fords - Made in the USA! I think my inquisitive nature has helped in my business. I always want to know "why". For example, why do we always put the drain in the middle of the shower where we stand? Why not in the corner like we do in our sinks? As long as I have been working with copper, I still have so many "why" questions. Why, for another example, when we apply the exact same vinegar on two identical sinks (at the same time), do they not turn similar colors? We have to work hard to get them to look similar. The good news is that we never rush the process. As far as my gadget obsession, I just switched from an Android phone back to an iPhone. Boy do I love Siri. I had no idea how helpful that function would be for me. I should be on top of things at all times now! No more excuses!!! By the way, both cars were traded in for American made cars. 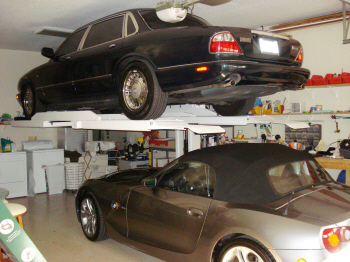 (This photo was taken quite some time ago) I had to dismantle the lift as neither new vehicle would fit under it. (Update 2016) We are now Tesla and Chevy owners. Keeping it all in the USA. We are finally caught up. Whew, the first quarter was a whopper for us. Thankfully we thought ahead and cross trained employees. Getting the band room up and running again. We have been working so hard lately, I thought it would be a good thing to start playing some music again. I am in the process of getting a band together. So far, we have some very talented musicians and vocalists. Our sales are shocking. We are well over 50% ahead of this time last year - and last year was a record year. I have to thank many of you for your referrals and the kind words that have been said on many online forums. 2011 was a very good year for us. Our business was up 17% from the prior year. It was easily our best year since we started at the end of 1998. I have quite a bit to look forward to. First off, I have hernia surgery scheduled for Wednesday morning. The good news is I get a break from my three day a week personal training from 7am-8am. This is going to be laparoscopic surgery, so the recovery is quick. I should be back to work in a day or so - and back to light training in a couple of weeks. No more lifting 90 pound sink crates for a while. The ladies will have to do that for me for a few weeks. Have a wonderful 2012 full of joy, and family gatherings! Top Ten Germ locations in your home? Just added a compilation of photos sent in by our happy customers... enjoy! Wow, things have changed in the past year. I have tried to make this the year of tweaking the minor things. Our wooden boxes are now sanded smooth, have countersunk screws and are made of a better grade of plywood. For me, it would be impressive to see the care taken in making the box that my sink is delivered in. We changed suppliers and the quality went up and the price stayed the same. There have been days when I wonder if we are approaching the upper limit of the volume I am comfortable with. There are certain responsibilities that I will not delegate to others. My unwillingness to delegate has a direct impact on company growth. At one time, growing my company was my goal. In fact, for many years that was my goal. A few years ago, I decided that I wanted to love what I do every day, so I took back many responsibilities that I delegated in the past. I take virtually every phone call and I pack every single sink that leaves here. You might think... why in the heck would the owner of a company be packing product for shipping??? For years UPS packed our sinks. Damages were much more frequent, however, UPS paid the claims with no hassle. No hassle to me, but a great hassle to our customers. I knew there had to be a better way. I felt our sinks would ship better in custom wood boxes, with quality foam packing. 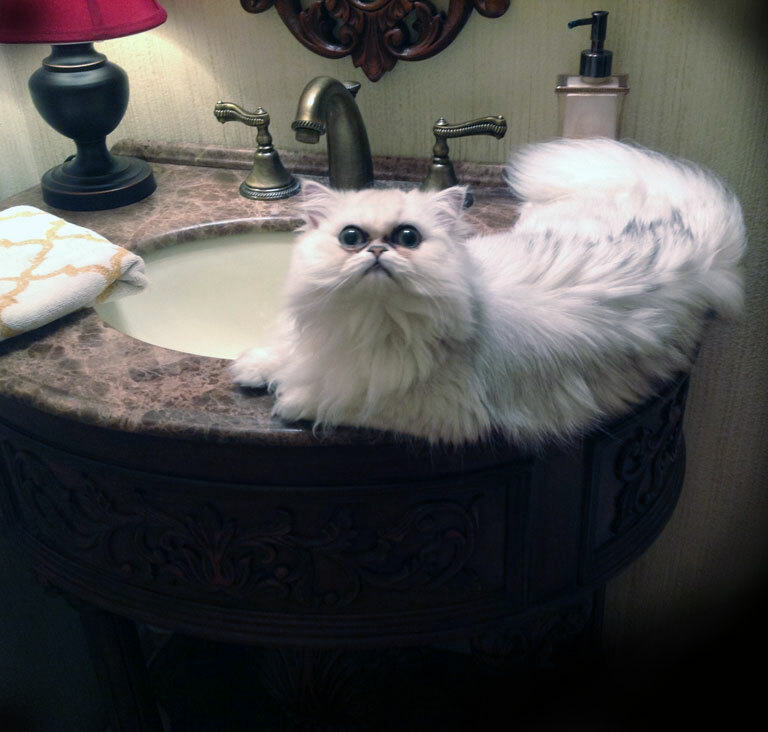 I also wanted to be the last set of eyes on every sink. On rare occasions, I have rejected a sink at the last minute due to a very minor quality issue. Nothing ever gets as far as shipping with a quality issue a customer would notice, but I see things that most would never detect. My family name goes on our sinks. It takes anywhere from 20-40 minutes for me to pack up a sink. Some days we have 4 or 5 ready. That takes the better part of a morning for me to handle. Hence, we are about at our volume limit. Keeping my company small, with a focus on quality and service, is my goal. Just returned from Connecticut where they had the huge snow storm. Most of the State is without power. I managed to catch a flight out on Sunday. This is a video of a portion of the drive to the airport the morning after the storm. Beautiful! New Patina - Sunset. Full of rich reds, deep oranges. Yummy! Headed to New York and Connecticut. Supposed to be a Nor'easter headed that way tomorrow. I guess snow is in my future. I only packed a light jacket. Brrr. We are having a banner year, far better than last year which was our best year ever since 1999. 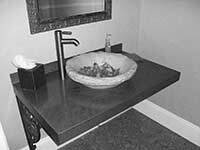 The word is getting out that our sinks are quite different and have so many advantages over what else is on the market. I am so grateful for the daily emails from past customers, some with photos. It is a rare day that I get up in the morning and check my emails that there isn't an email from a past customer with all kinds of kind words. Today was no exception. "We are both super delighted with the sink. It is a wonderful work of art. My husband says it is like a beautiful sculpture in the kitchen. Thank you for making us such a gorgeous sink, thank you for deciding to make sinks, and thank you for making them in the USA." I miss my home office. I can't even remember the last time I worked in there. 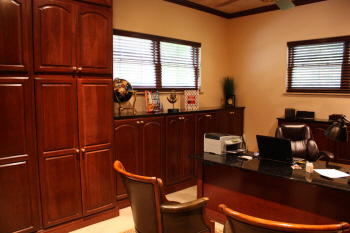 I am always at the office in Apopka. The reason why I don't work from my home office at all is because my cell phone does not work well in my house. Go figure! Still ahead of last year. We all feel very fortunate that we are doing well in this horrible economy. More and more folks are looking for products made in the USA. Well, four 24" LED screens helps! Some of you have asked how I manage to do web work, design work, business stuff, etc. all at the same time. Well, four 24" LED screens helps! Three are set up in portrait style and the fourth in landscape. Believe it or not, I would love a fifth screen! Just upgraded to solid state drives. Man this computer is fast now! No more old fashioned "record players" in my computer. This is a current (Sept. 1 2011) photo of my desk. Emma sleeps on my desk most of the day. She is about 4 months old now. Notice the squirt gun (you will have to click on the photo to see it). I used to use that when she got behind my computer and started to chew on wires. She doesn't do that any more. I guess I can retire the gun. A treat for your ears! The following video is Yundi Li, from China, playing one of the most difficult piano pieces ever written - perfectly. My father was a concert pianist from the age of 5 (and still plays). He played this piece when he was 11 years old. He tells me Yundi Li is the best he has ever heard playing La Campanella. (By Franz Liszt) I can remember my father playing this when I was a child. He recently recorded a version. He still plays it amazingly well for 89 years old! Today I realized why I can not retire. I can't think of anything I would rather do on a regular basis than what I already do. I am often asked why I answer phone calls in the evening or on weekends. The answer is simple. I love what I do. Do you remember what it felt like the morning of the first day of school each year? All excited, could not wait to get there... That is how I feel every day. The best part is that there is no test at the end of the day and the food is much better than the cafeteria at school. One more thing... I already have the girl of my dreams. Life is good! This school is better than the last ones! Found a kitten only 5 days old. Meet Emma... We fell in love instantly. Lisa and I take care of her at the office, then take her home at night. She is so cute! A Paradigm shift makes a huge difference! So far, we are ahead of last years pace - and that was a record year for us. For more than 100 years, the Swiss were renowned for their watch making excellence. In 1968, they had 65% of the world market share and according to expert estimations, more than 80% of the profits. Yet, just 10 years later, their market share had fallen below 10% and in the ensuing three years they had to release 50,000 of their 65,000 workers. Today, what nation dominates the world of watch making? Japan. So, how could the Swiss watch industry be so rapidly destroyed? The answer is simple. They were destroyed by a paradigm shift - the quartz movement watch: totally electronic, 1000 times more accurate than the mechanical watches - all new rules. So who invented this revolutionary design? The Swiss themselves. Yet, when their own researchers presented the idea to the Swiss watch makers in 1968, they rejected it. After all, it didnâ€™t have any bearings, gears, mainsprings or jewels. It had none of the marvelous mechanical complexity the Swiss were to good at. Therefore, it couldn't possibly be the future of watch making. So confident were the Swiss manufacturers in that conclusion, that they didnâ€™t even protect the idea with a patent. Later that year, the researchers displayed that watch for all to see at the World Watch Congress. Seiko of Japan walked past, took one look, and the rest is history. Often it takes an outsider to recognize things have changed! Copper loves any metal when it comes to decor. Don't give mixing stainless and copper another thought. I am among thousands who chose to blend the two metals. 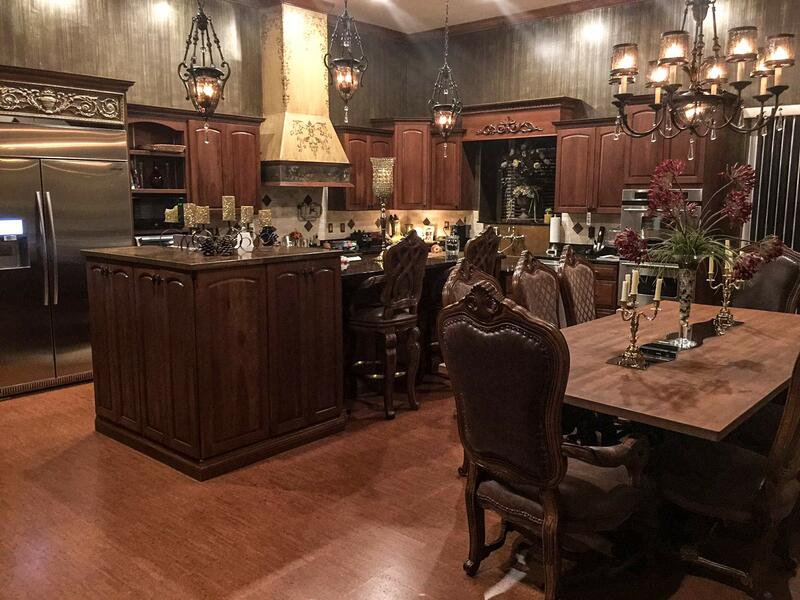 The counter top on the high part of the island is copper. I have two copper apron sinks and all of the other appliances (including two dishwashers) are stainless. These photos were taken after we had the walls and the hood faux painted in 2013.